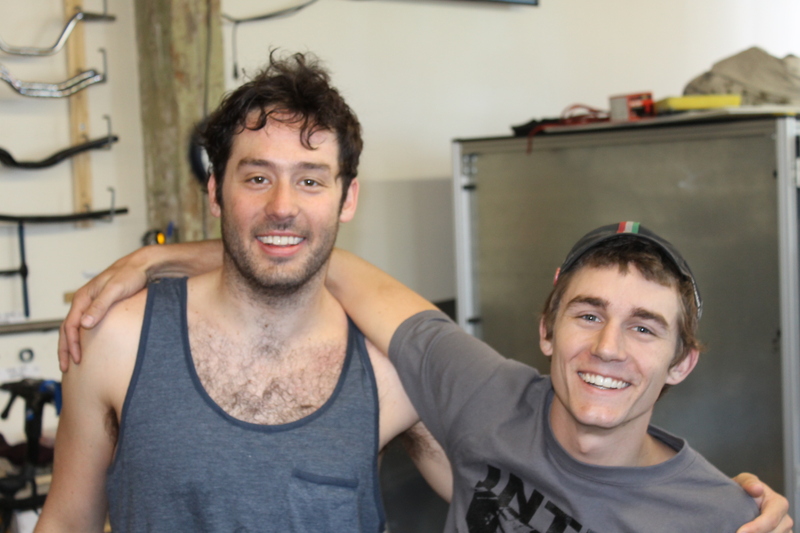 Lance took me to the Bamboo Bike Studio today, where we met Greg and Fence. Greg and Fence. They are happy. 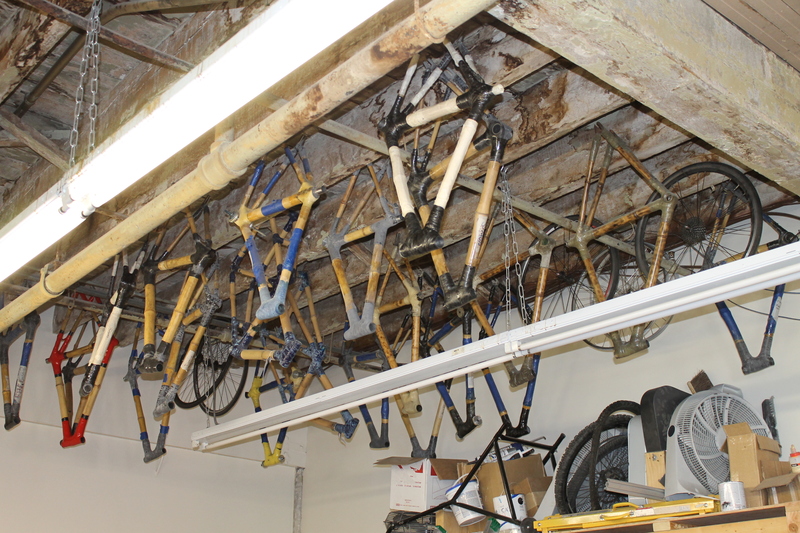 They have been making bike frame here from Jersey bamboo, which grows locally in gardens and is seen almost as a weed, although now their bamboo comes from Yucatan. Fence told me how Yucatan bamboo actually has a lower carbon footprint, despite the transport distance to New York because of the solar treatment of the bamboo from this area. 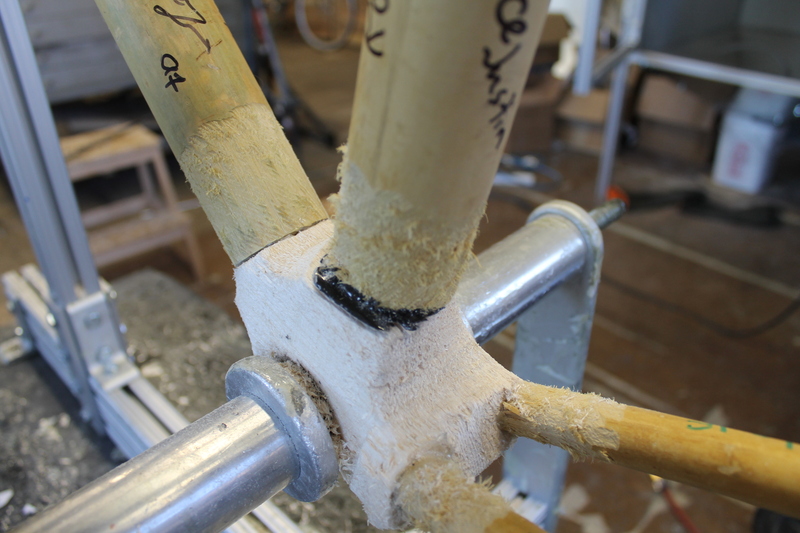 Previously, they used high density foam for the bottom bracket area and other areas such as the head tube and seat cluster area, but have now started to use balsa wood. 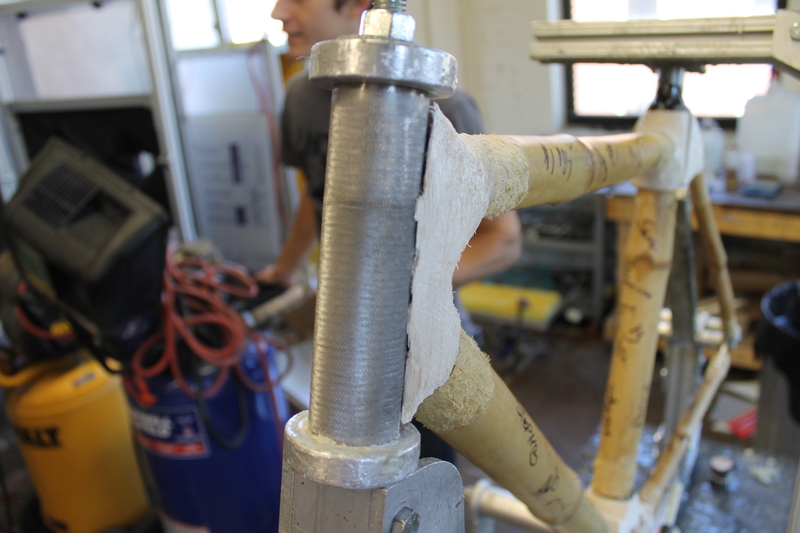 Their goal is to make a 100% biodegradable bike frame within 5 years. There are currently people in Brazil working on organic epoxys. The best species of bamboo to use is apparently “Phyllostauctus Strictus”, native to Asia, otherwise known as “iron bamboo”. 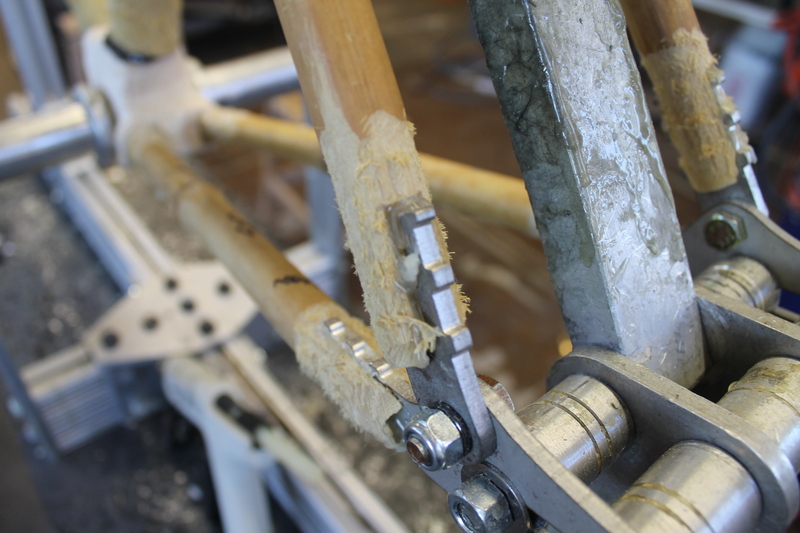 It only takes 3 years to grow a piece of bamboo big enough for frame tubes. 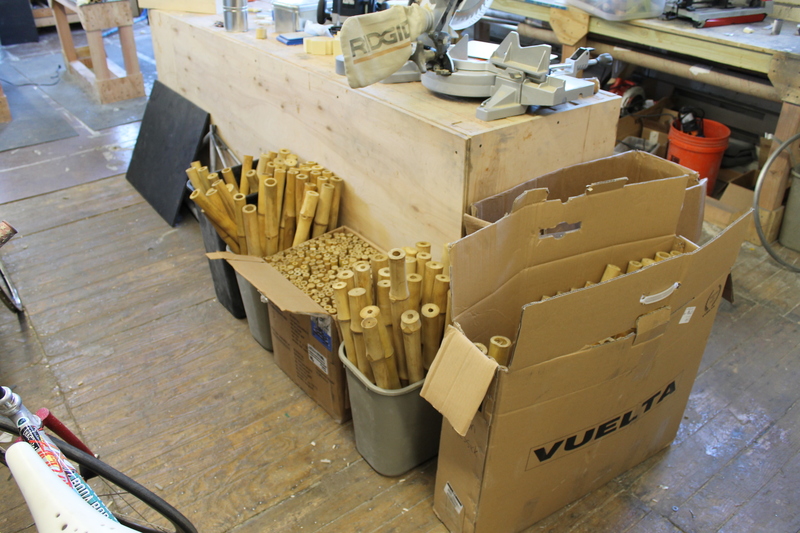 The Bamboo Studio have made a frame from start to finish in 6 hours. The epoxy really needs 12 hours to cure though. 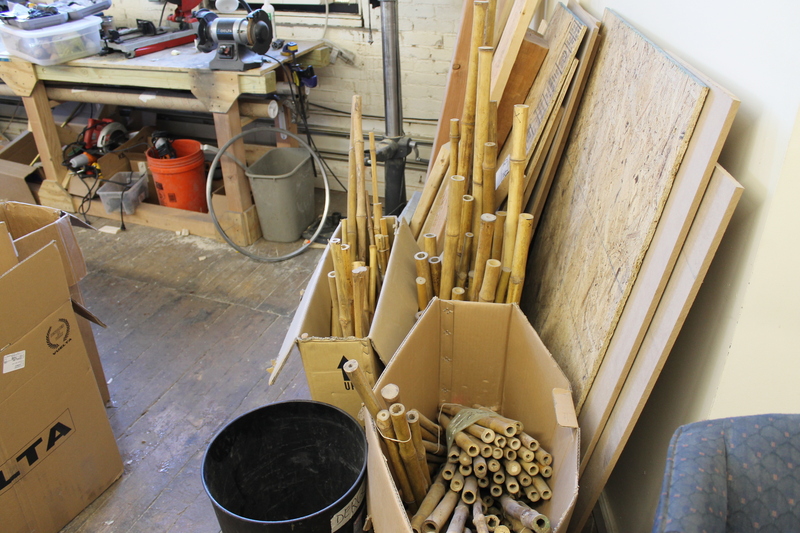 The current bamboo supplier can provide enough bamboo tubes for 70 frames per month. It was great to see this kind of sustainable and biodegradable industry going on, and with passionate people behind it. 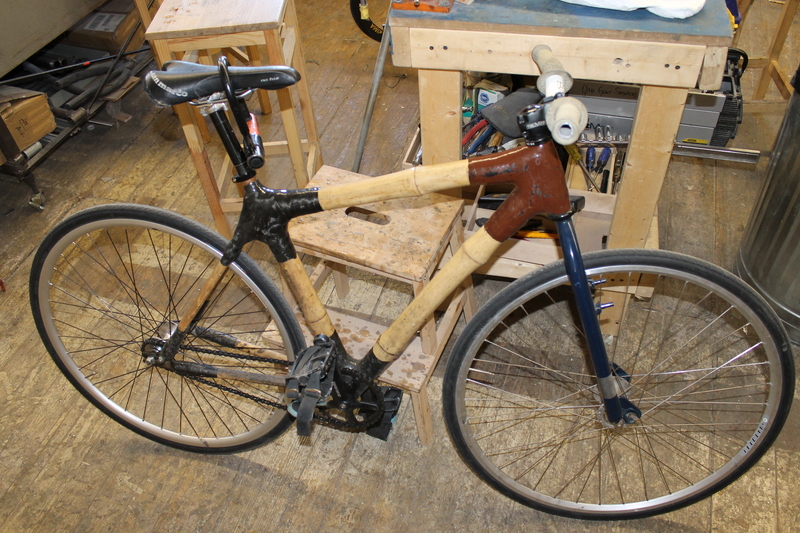 I’m sure bamboo bikes have a bright future. 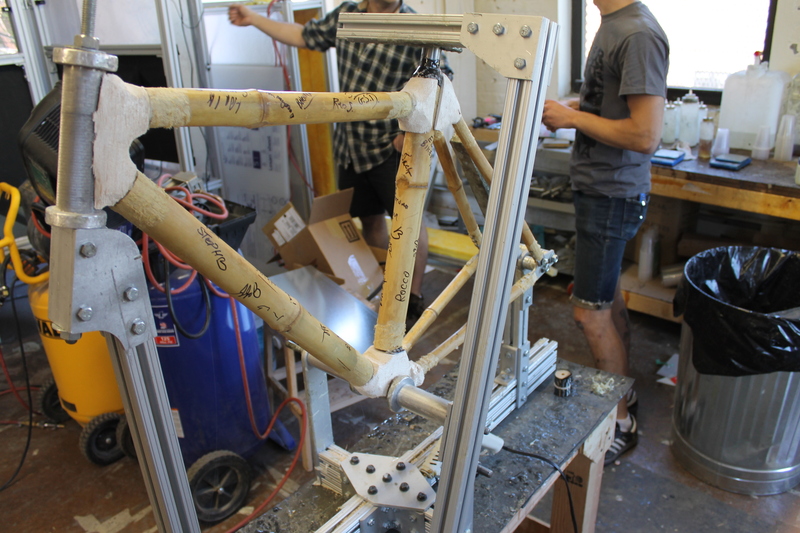 The Bamboo Bike studio are now offering a self-build kit, starting at $496. It includes a flat particle board jig. What are you waiting for? 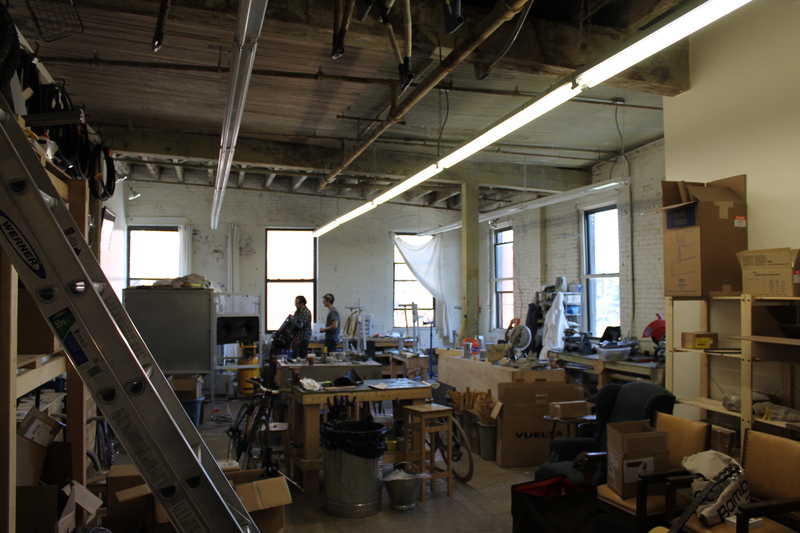 My next post will be about SquareBuilt Cycles. mate really loving your blog! It’s so exciting, your learning so much and even possibly having fun as well! Can’t wait for my forks now!